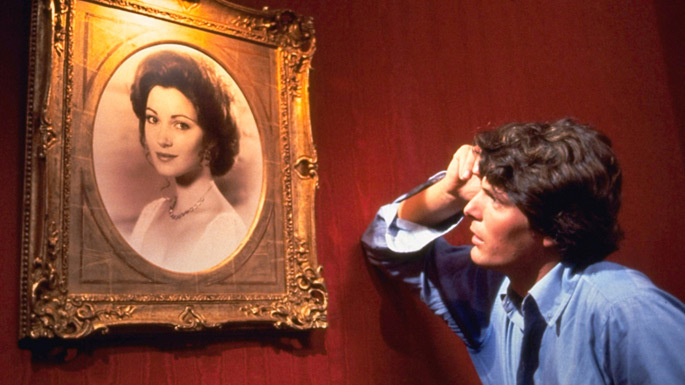 Released in the fall of 1980, Somewhere in Time takes Superman out of Metropolis, away from Lois Lane, and sends him “back in time” about five years before Marty McFly came on the scene. Now, you must know that by saying Superman, I am actually referring to actor, Christopher Reeve. Oh and by the way, in this movie, Margot Kidder (Lois Lane) is replaced by actress Jane Seymour and Gene Hackman (Lex Luthor) is replaced by Christopher Plummer. One down and four to go. Our wonderful daughter Melanie -the oldest of our five children- graduated Cliffside Park High School this past week outdoors on a steamy hot and humid Wednesday evening at 6:00 P.M. For us it is hard to believe that one of our kids has reached this point, though now it we pretty much be one after the other. We certainly are very proud of our Melanie, who did finish in the top third of her graduating class, finishing with a fantastic senior year in academic achievement. Best wishes for a soulful retirement to Angelo A. D’Arminio Jr. (our long time voting tabulator extraordinaire) who was the toast of a dinner on Wednesday night at Cafe Tivoli in Ridgefield. D’Arminio and his wife Kathy plan to re-locate in South Carolina by the end of the summer. He served as President of the Fairview Board of Education this past year after completing two separate stints on the nine-person panel. We wish Angelo the very best in the coming years. Star power covers a multitude of sins in Sydney Pollack’s romantic melodrama. Look too closely and you might be frustrated by the lovers’ willful obliviousness to their own incompatibility. You might be confused by the hasty, unexplained plot developments in the film’s third act. You might be distracted by Barbra Streisand’s frequent slips from strident Brooklyn-esque speech into a carefully modulated and very grand mid-Atlantic accent. But you won’t be able to take your eyes off her – or Redford. The two leads were both at the height of their box-office power when the film was released in 1973, and both their individual charisma and their chemistry with one another is palpable. Plus you get to hear Streisand sing the classic theme song not once, but twice – over both the opening and closing credits. If I had to make a list of the most subversive love stories ever committed to film, The Bitter Tea of General Yen, would certainly be near the top. The interracial romance at the heart of the film was taboo in 1933, and remained so for many decades. But more subversive was the look at the love of money and destabilizing love of a Christian God missionaries spread throughout the world. This type of story is something of a surprise from Hollywood’s most successful idealizer of American values, Sicilian immigrant Frank Capra, and his female star, Barbara Stanwyck. Only two years earlier, the two had teamed to film The Miracle Woman, in which Stanwyck played a bitter and cynical evangelist whose faith in God is restored. 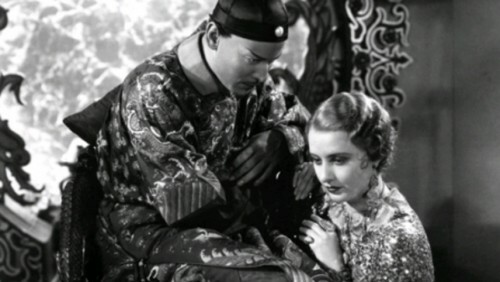 In The Bitter Tea of General Yen, Capra and Stanwyck reversed this outcome, as a Chinese warlord “converts a missionary,” forcing her to see the charade of her blind loyalty to her missionary fiancé and her Christian mission, and acknowledge the attraction that has grown between them. It could well be that one of the surest ways to identify a modern film’s holding a strong hand is its linkage to that metaphor of Beauty and Beast tracing back to the tiniest flames of revolt on a violently subdued planet. One filmmaker who seems to know where the loot is hidden is Jonathan Glazer, a rock video and TV commercial alumnus. Glazer, from what I’ve seen, is a past master of edifying desperation, acutely obsessed about our being implicated in a monstrous struggle for sensuous equilibrium, a struggle with the odds heavily stacked against making the merest go of the merest advances. Although most of Frank Borzage’s best films finally saw release with the 2008 box set, Man’s Castle somehow didn’t make the cut. It’s a shame, as it’s his best film outside of his multiple silent masterpieces made with Janet Gaynor and Charles Ferrell. Man’s Castle again rekindles a kind of street-wise and jaded yet sentimental quality to the love stories he pioneered in the 1920’s, like 7th Heaven, Street Angel and Lucky Star, and then continued into the 1930’s with his near masterpiece talkie, Liliom. Borzage is rarely written about these days, and if he is, it’s amongst the blogosphere almost exclusively, and even in that realm it’s hard to come by. Borzage, above any other director who’s ever lived, seemed to elevate romance into the spiritual realm, almost turning the transformative power of love into a religion, believing that if one is honest enough, kind enough, and loving enough, one can overcome just about any odds. No other director has ever conveyed with such unflinching, sincere regard, the belief that love can conquer all and inspire lovers to go beyond what they thought was imaginable.